With the loss of Somewhere Yankee’s Cody and thanks to Wes and Kristin Gordeyko, we have been fortunate to add this exceptional horse to our stallion group. 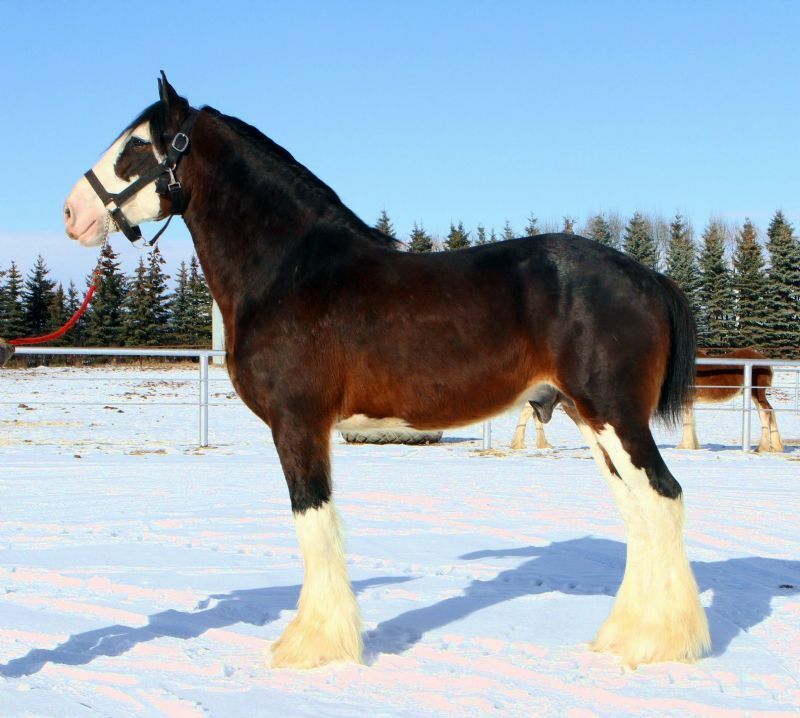 We look forward to his offspring as he continues the Somewhere reputation for producing Clydesdales with quality, size and action. 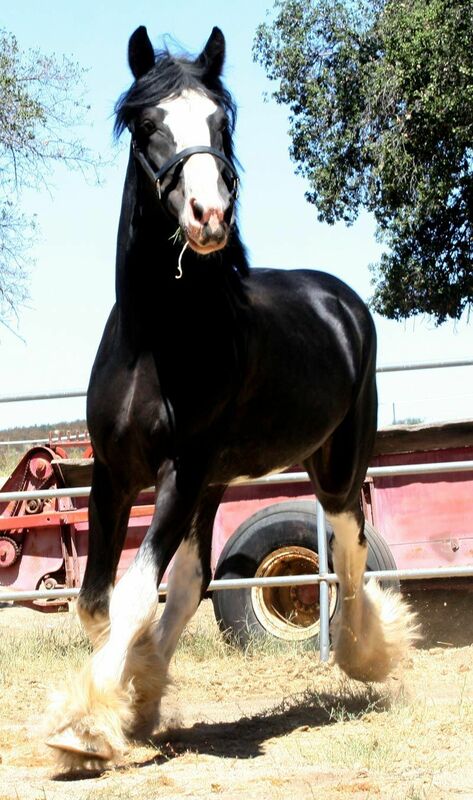 Black son of Donegal Dr. Pepper and full brother to the champion stallion Somewhere Doc's Blackun Decker. Hawk has superb confirmation. And like his daddy, he is a big mover with big feet. With his breeding we are getting nothing but good things from Blackhawk. Stud fee $1,000.